The antiseptic properties of silver become more and more important in the medical and cosmetic sector. Decades ago, silver was still unaffordable. Today modern techniques allow to produce pure silver in larger quantities. Micro silver is a special form of pure silver with a spongy increased surface. Due to the large surface, bacterial and viral germs as well as fungicides can be bound and rendered harmless. 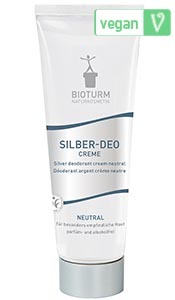 Besides the ability to bind harmful germs on the skin, the soothing effect of silver on irritated skin has been known for years. Micro silver has excellent properties: it has antipruritic, anti-inflammatory, antibacterial and antimycotic effects. 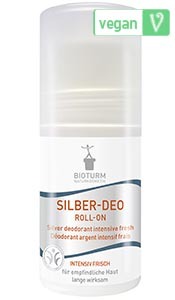 Therefore it is used successfully in the treatment of different skin deseases caused by viruses, bacteria or fungi. Silver has been used successfully, for example, in patches, but also in creams and ointments. 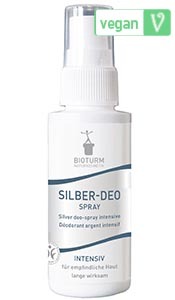 Especially in the therapy-related care of neurodermatitis, silver is very helpful due to the excellent antipruritic effect. Silver is therefore a versatile everyday helper: whether in case of chapped skin, insect bites, sunburn or for care of teenager's problem skin. 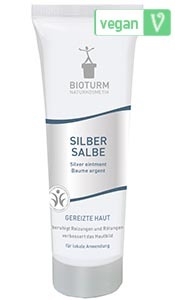 IMPORTANT: In BIOTURM products micro silver is used which cannot penetrate into the skin due to its size. It remains on the skin until it is washed off. We do not use nano silver, which is suspected to penetrate into the skin because of its small size. 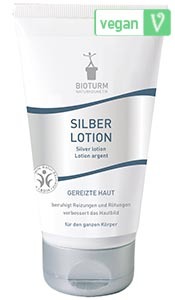 A light lotion with micro silver for large-area application - therapy-related care in case of neurodermatitis and psoriasis.